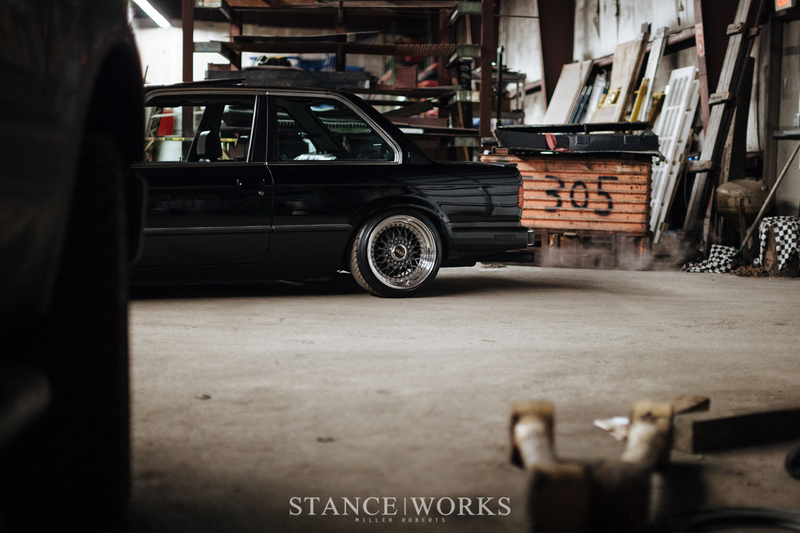 The E30 chassis is one of the most recognizable, widely known BMW body styles, and for great reason. 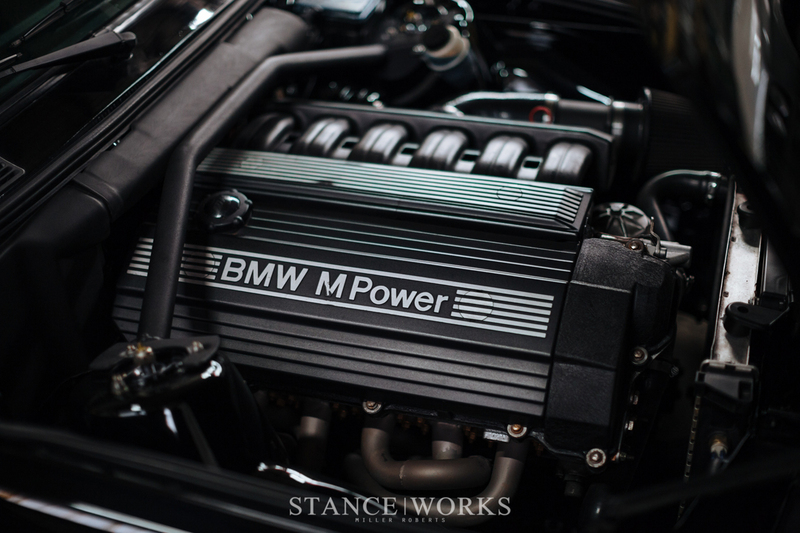 With confident body lines, sharp but friendly features, and wide availability, it is quite often the first foray for many BMW enthusiasts' addiction to vintage cars. 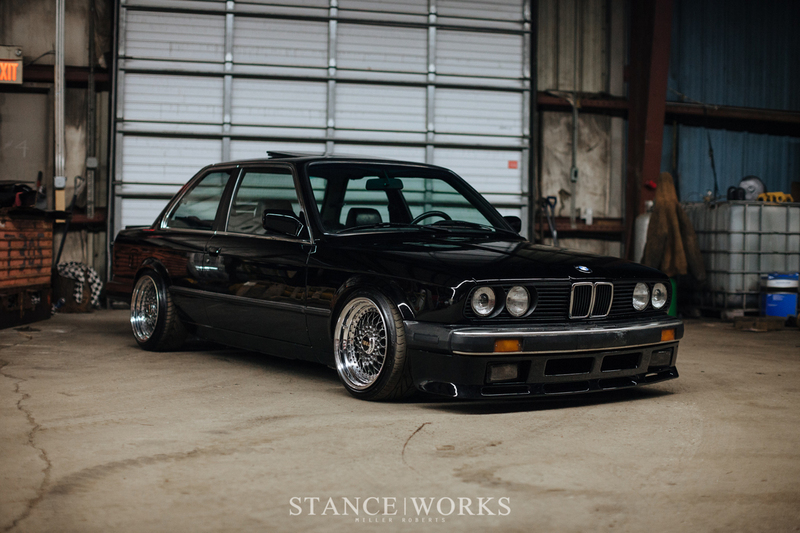 For this exact reason it has become increasingly difficult to find a pristine and polished example of an E30 in the enthusiast world. The suspension was pieced together using Ground Control parts, as well as other quality components, yielding a full coilover conversion, which of course tightened up all of the handling, braking, and general driving characteristics. Dave was constantly adding to the car, changing small parts in search of the perfect dynamics for a great looking and feeling car. These additions include ST sway bars, Treehouse Racing control arm bushings, all new hawk HPS pads and copper plated brake lines, and a fresh undercoat to prevent any future rust, just to name a few. 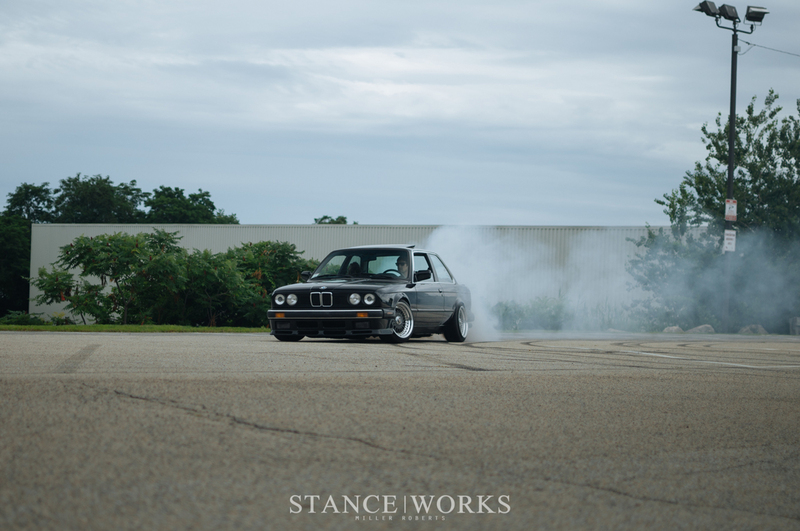 Balance was his goal from the beginning and it has lead to one of the most fun E30s that I have ever had the pleasure of riding in and driving. Fast forward to the following year and Dave was already chomping at the bit for a bit more grunt. 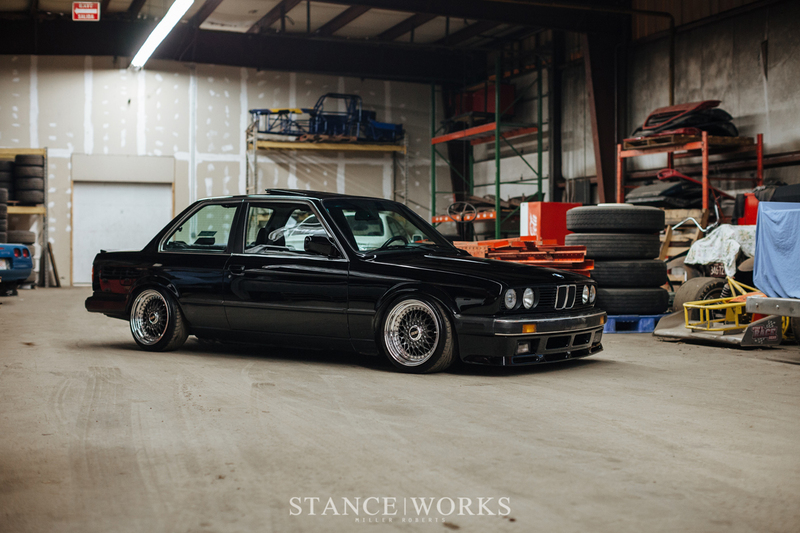 An S52 (found in late model E36 M3s) began stealing his time (and money) as it received a full rebuild and then some additional love in preparation to be dropped into the the chassis. At the end of what was supposed to be a simple rebuild, Dave came out with a drivetrain that made somewhere in the realm of 290 wheel horsepower and 280 lb/ft of torque (up from the stock 240/240 at the crank, stock) delivered to the ground by a ZF transmission and a custom 3 clutch 3.15 ratio differential. The engine bay was shaved and the driveline was installed, leaving the inside of the bay just as beautiful as the outside of the car. 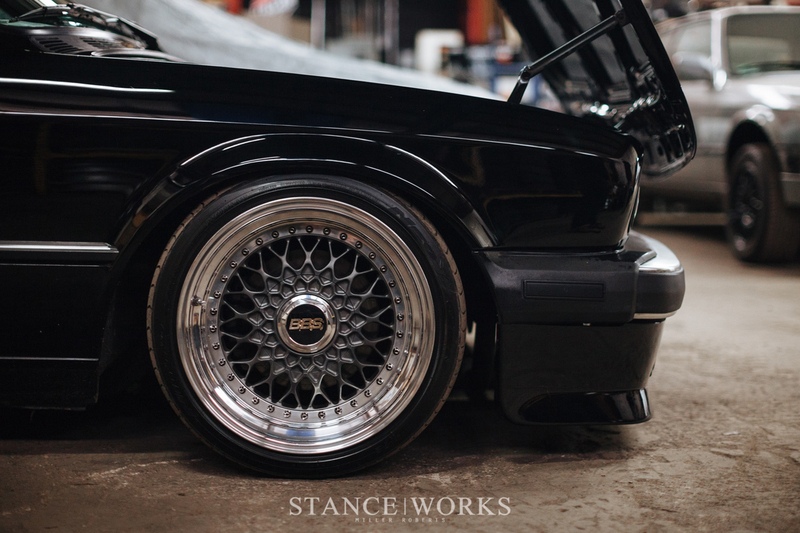 A set of BBS RSes were sourced and refinished, then happily took their place underneath of the beautifully polished body of this subtly aggressive E30. 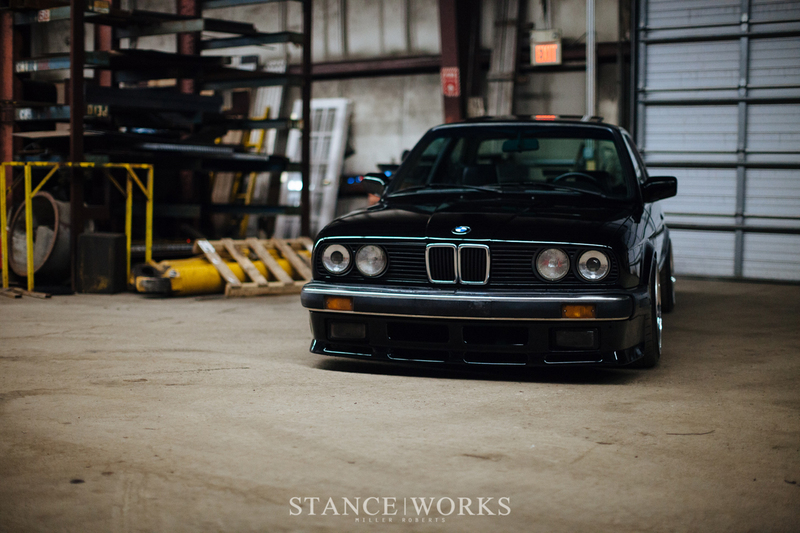 The result of a seemingly logical series of modifications that most E30 owners talk about (but interestingly rarely achieve) resulted in one of the most beautiful early models driving around the New England area, preserving much of the OE and untouched aesthetic many E30 owners initially fall in love with. A beautiful, quick, fun car is exactly what Dave had intended, and it is exactly what this example has shown itself to be. The car was built as an expression to how Dave felt his car needed to be. Composure and chaos come to mind when you’re strapped in the passenger seat, ripping around with the rear wheels spinning far too fast for the front to keep up with (which is coincidentally when Dave seems to be his happiest). A simple and clean Italvolanti Indianapolis Formel 3-spoke wheel adorns the full leather interior, providing something pleasing to grasp when putting the car through its paces. Otherwise, the interior is left as-is, embracing a no-frills utilitarian aspect to the car's innards. 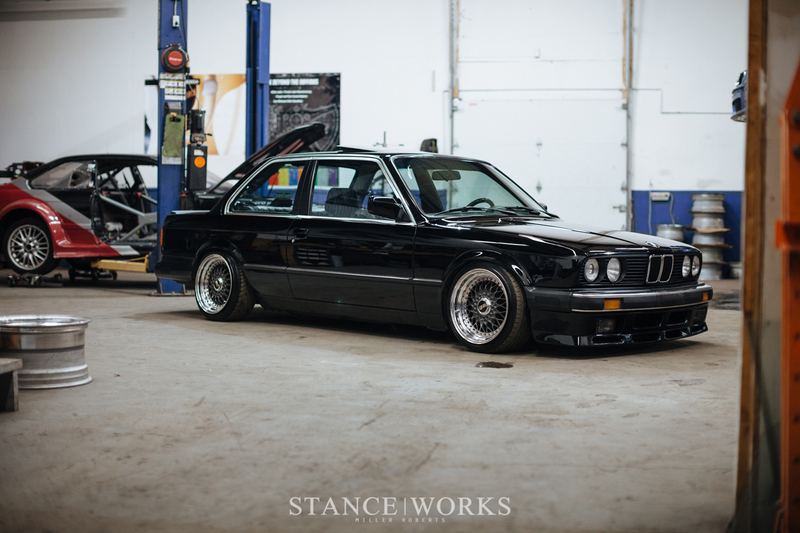 BMW seems to be Dave’s forte, but he also has a few other projects up his sleeve, including a Volvo 242 track car with a very interesting powerplant and an S6 clone wagon as a daily driver. Spotted around the shop he works in are quite a few exciting projects that will be quite the handful when they see completion. People far too often believe that there’s only one true route to go when it comes to their projects. Balance is an element of automotive enthusiasm that can be overlooked by those seeking pure power figures, pure grip, or even the perfect fitment. Each pursuit is admirable and difficult to perfect, but seeking an eclectic mix of automotive styles often yields incredibly interesting and polished results. So here’s to all you in-betweeners, whose apparent indecision creates things that are just as exciting as the extremes. 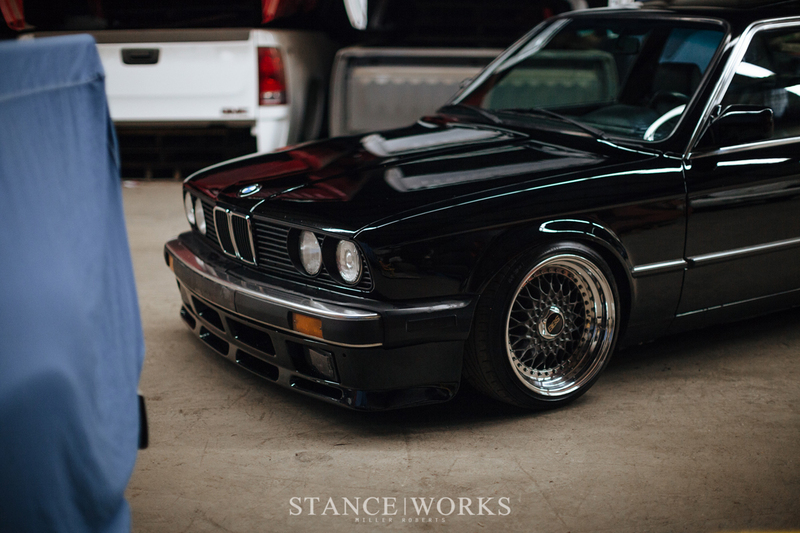 That’s stunning, I wish my E30 was even a fraction as cool as this one. 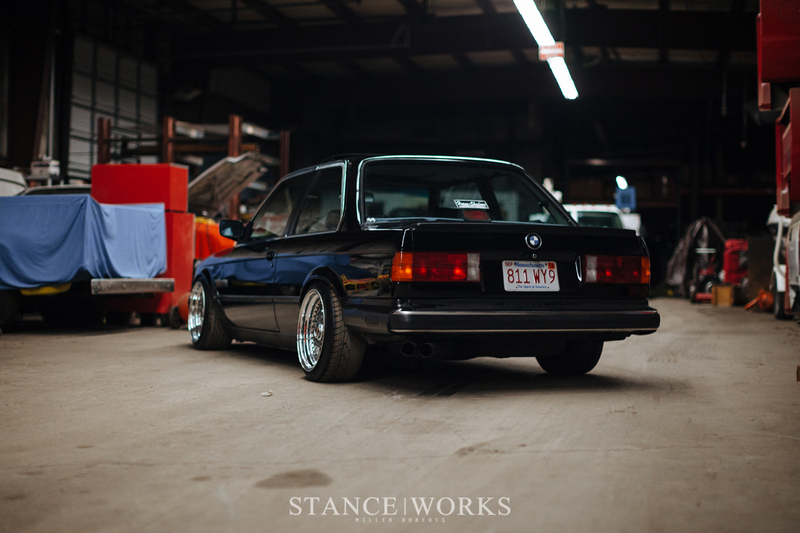 Props to Dave on building such a clean and refined car. Very nice looking build. 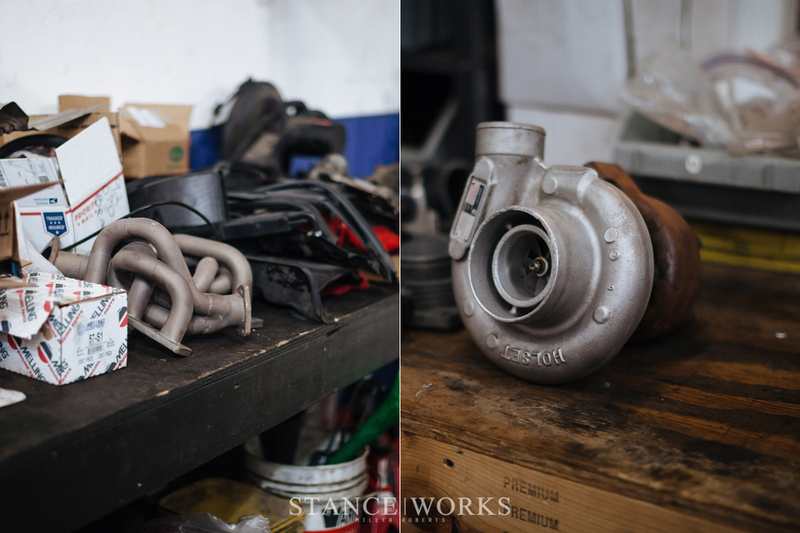 I’d love to hear the technical details of how Dave managed to coax 290whp out of an S52 without forced induction. Accounting for a 15% drivetrain loss, 290whp is about 333hp at the crank, which is nearly 100hp over stock, and not easily accomplished with these engines. That’s an s50, Not an s52. I agree with ZeGerman, this article appears to have some inaccurate (or missing technical) details. 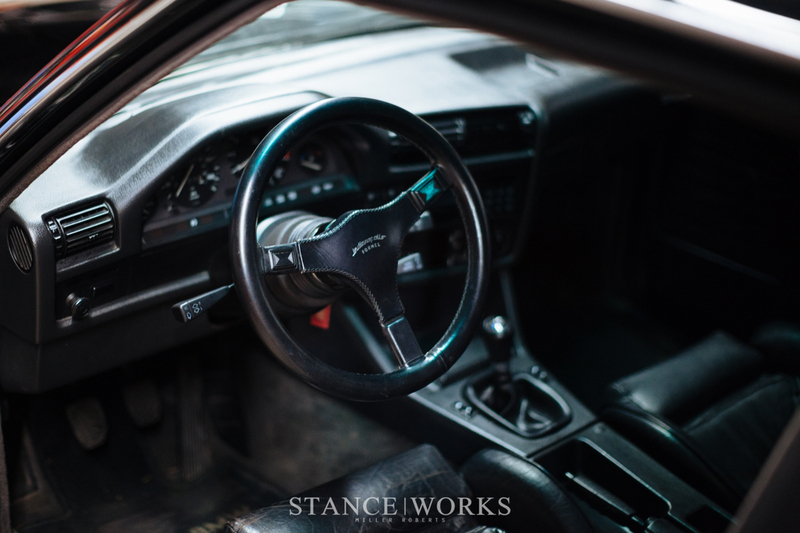 I would hope Stanceworks would complete a sanity check on the facts before they post an article. With high comp Pistons, head work and the tune 280 and change was the result. It is indeed high for an s52. 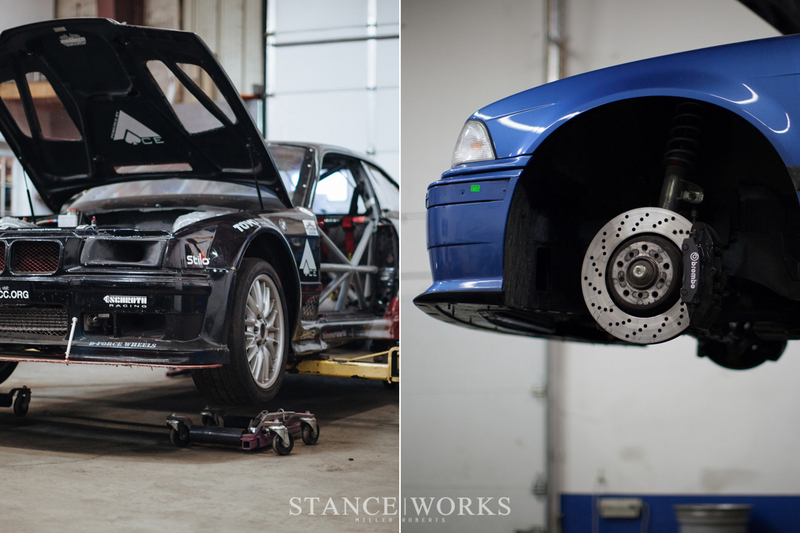 A similar e36 build dynoed the same day with more head work and produced 290 even. Miller chose not to get into fine detail with the build list. I will make a correction though and say that the torque number is wrong. It made 255ft lbs. we apologize. ddeltorto5 Impressive power figures, nonetheless. I really like that you decided to keep it naturally aspirated for now. 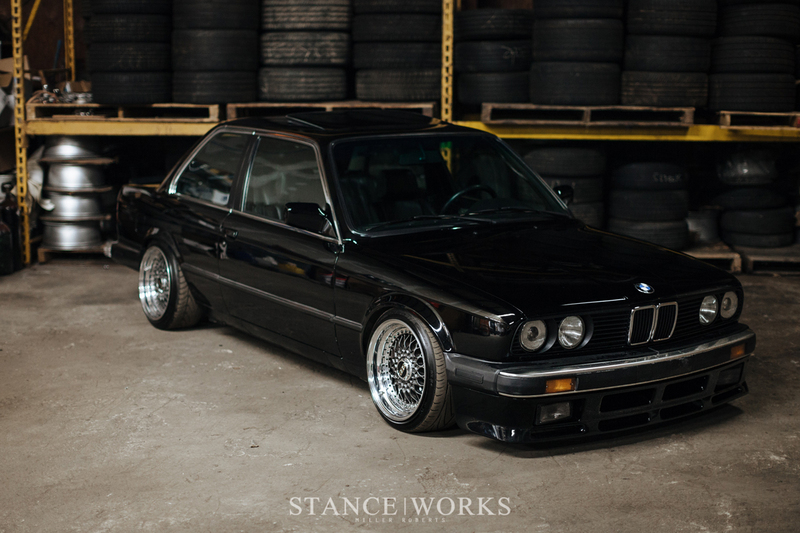 I bet that engine setup is a total riot in the E30 chassis. MillerRoberts I understand – it just seems like a stretch for that motor, but possible. For selfish reasons, I hope the numbers are right on as I have almost finished my S52 build. Do you know what cams he used?? Super impressive build. what year is this exactly, ’91? 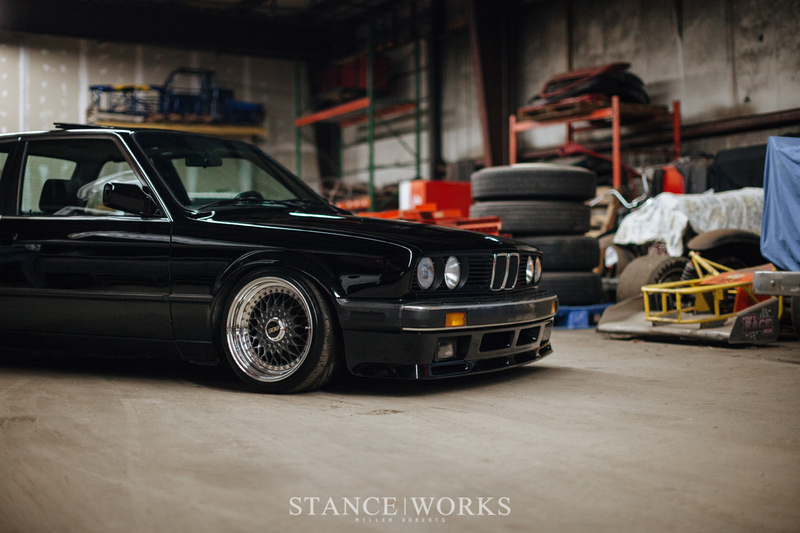 what size are the wheels & tires? did they need spacers or anything? and what suspension is on this?